The Millennium Communities are intended to provide a range of high quality and innovative homes that create sustainable communities and inspire the housebuilding industry. 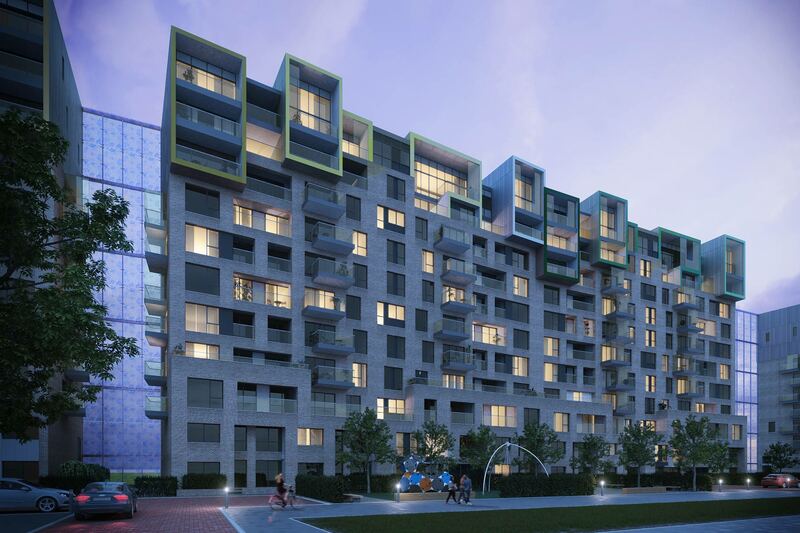 Phases 1 and 2 at Greenwich Millennium Village (GMV) are complete. After receiving planning consent in March 2012, we started construction of phases 3, 4 and 5 in March 2013. 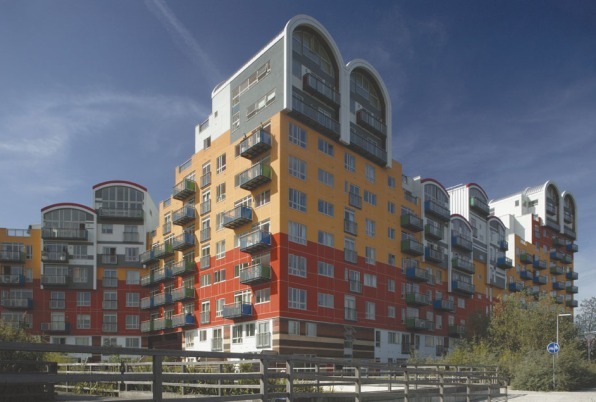 Greenwich Millennium Village Ltd is a joint venture between Taylor Wimpey and another private developer. 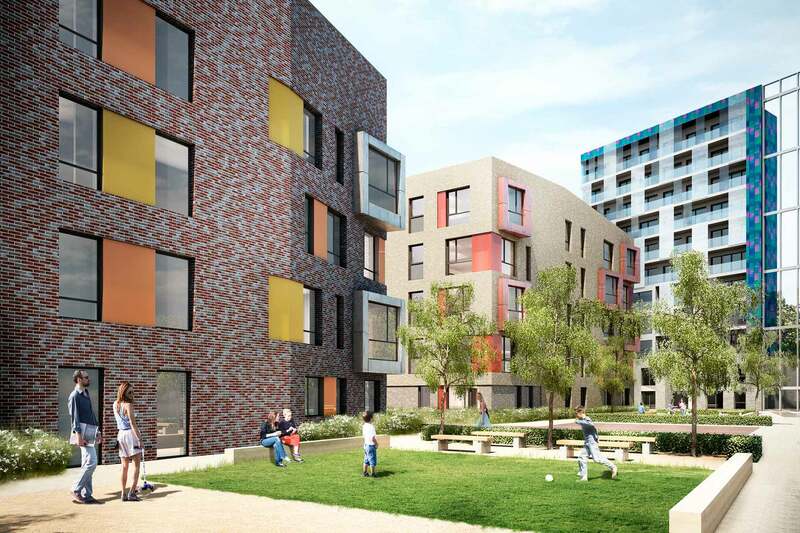 We are delivering the development in association with the Greater London Authority (GLA) and Moat (the registered provider managing the affordable homes). There is a very close working relationship between all four organisations and we hold regular meetings and workshops. 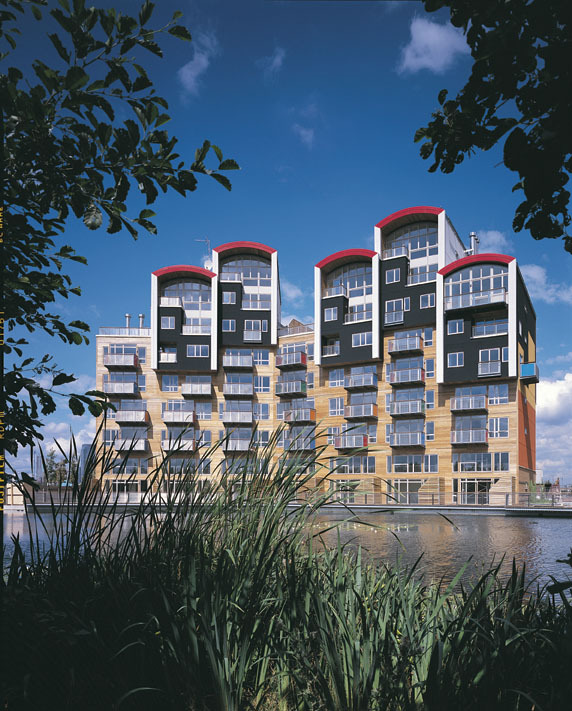 Greenwich Millennium Village has been constructed on what was a heavily contaminated industrial site, previously cut off from the rest of London, and has transformed the area into a highly desirable place to live. To ensure sustainable regeneration a development of this size must provide opportunities for new jobs and commercial enterprise, and GMV includes a village square with commercial units, including a supermarket and a pharmacy. There is also a visitor centre which is available for community use as an events space. The village square incorporates ‘pop-up’ power and water supplies, enabling it to be used as a market. Taylor Wimpey, as part of GMV Ltd, has also part funded the Greenwich Local Labour Body, with the intention of encouraging subcontractors to use local labour, helping to promote economic and social regeneration. Phases 1 and 2 have won many awards including Building for Life Gold for Maurer Court and Sustainable New Homes and Housing Design awards. GMV was the first large scale development in the UK to achieve an EcoHomes ‘Excellent’ rating. Phases 1 and 2 incorporated a number of innovative building techniques in order to meet or exceed sustainable construction targets. For example the 30% reduction of water consumption target was met and we achieved a 76% reduction in construction waste compared to a target of 50%. Phases 3, 4 and 5 are being built to the Code for Sustainable Homes, starting at Level 4. Features such as rainwater harvesting facilities and electric car charging points will be installed. We have outline planning approval for an Energy Centre, containing a Combined Heat and Power system and gas boilers, which would provide heat to all of the homes in phases 3, 4 and 5 through a district heating network, as well as producing electricity for export to the National Grid. 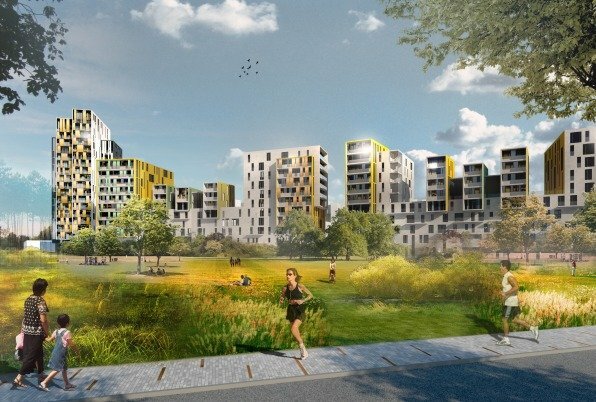 The design of phases 1 and 2 is iconic, incorporating ‘barrel vaulted’ roofs, colourful balconies and enclosed courtyards. However, the multi-coloured renders and window frames do require regular maintenance and re-painting. For phases 3, 4 and 5, in conjunction with the GLA, we held an international competition to secure suitable architects with the experience to deal with the technical design issues including the noise from the industries based at the wharf next door. Jestico & Wiles were appointed. In order to reduce maintenance works and the associated cost to the residents on phases 3, 4 and 5, the buildings have been designed so that they have brick elevations and their balconies use glass panelling. The upper levels will have aluminium features and create a ‘square boxed’ roof line. We have outline planning consent for a landmark building overlooking the ecology park. Along the eastern edge of the ecology park is a strip of protected Metropolitan Open Land. We intend to landscape this area for public use and create a ‘natural’ swale to assist with drainage. 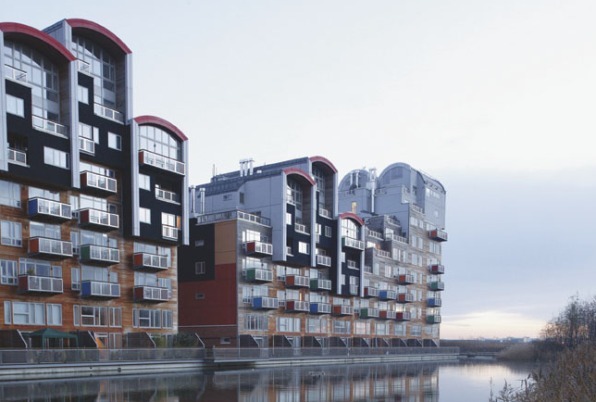 The design of phases 3, 4 and 5 incorporates additional technical features to protect residents from the noise generated by the wharf’s operations. Thicker walls and windows have been specified to insulate the homes along the eastern boundary of the site and the apartment blocks have been designed and positioned so that they can act as a shield for the other homes within the development. Across all phases the properties are designed to be Lifetime Homes compliant, which means the homes can be altered internally to meet the changing needs of their residents. To specifically accommodate disabled residents 10% of the homes have been designed with extra features so that they fully comply with the Disability Discrimination Act regulations. As part of the open space for the development, 50 acres of land have been developed as parkland. In addition, the Ecology Park, a four-acre freshwater wetland has been created. It comprised two lakes and areas of beach, marsh, meadow and wet woodland, with a network of wooden boardwalks, bird hides and special features to attract wildlife. Enough turf has been laid to cover 20 football pitches and over 60,000 shrubs have been planted, as well as 12,000 trees. During the planning stage for phases 1and 2, we carried out extensive community engagement, ensuring we took local needs and concerns into account where we could. We made regular leaflet drops, held open events, and set up a dedicated GMV website to keep local people up to date with our proposals and progress, and to allow them to provide us with feedback. As part of our community engagement when planning phases 3, 4 and 5 we held 37 consultation events, including evening and weekend exhibitions, and sent 4,500 letters to local people containing updates and invitations to these events. Further information was made available on the dedicated GMV website. Once again we consulted with local organisations, such as the Peninsula Forum, the local yacht club, the Port of London Authority, the companies operating the neighbouring wharf and the residents association. In March 2012 our outline planning proposal for 1,746 homes plus commercial, retail and community space was approved alongside detailed planning consent for the first 459 homes.